This is a milestone for queer visibility in the professional golfing industry. In a heartfelt post on his Instagram account, golfer Tadd Fujikawa publicly came out as gay. *PLEASE READ* Coincidentally, today is world suicide prevention day. However, I was going to share this regardless. So...I'm gay. Many of you may have already known that. I don't expect everyone to understand or accept me. But please be gracious enough to not push your beliefs on me or anyone in the LGBTQ community. My hope is this post will inspire each and every one of you to be more empathetic and loving towards one another. I've been back and forth for a while about opening up about my sexuality. I thought that I didn't need to come out because it doesn't matter if anyone knows. But I remember how much other's stories have helped me in my darkest times to have hope. I spent way too long pretending, hiding, and hating who I was. I was always afraid of what others would think/say. I've struggled with my mental health for many years because of that and it put me in a really bad place. Now I'm standing up for myself and the rest of the LGBTQ community in hopes of being an inspiration and making a difference in someone's life. Although it's a lot more accepted in our society today, we still see children, teens, and adults being ridiculed and discriminated against for being the way we are. Some have even taken their lives because of it. As long as those things are still happening, I will continue to do my best to bring more awareness to this issue and to fight for equality. Whether the LGBTQ is what you support or not, we must liberate and encourage each other to be our best selves, whatever that may be. It's the only way we can make this world a better place for future generations. I don't want this to be focused on me. I just want to spread love and acceptance to others who are in a similar situation. If anyone out there is struggling, please don't hesitate to reach out to me. YOU ARE LOVED AND YOU ARE ENOUGH...AS IS, EXACTLY AS YOU ARE! I can't wait for the day we all can live without feeling like we're different and excluded. A time where we don't have to come out, we can love the way we want to love and not be ashamed. We are all human and equal after all. So I dare you...spread love. Let's do our part to make this world a better place. "So...I'm gay," Fujikawa wrote. "Many of you may have already known that. I don't expect everyone to understand or accept me. But please be gracious enough to not push your beliefs on me or anyone in the LGBTQ community. My hope is this post will inspire each and every one of you to be more empathetic and loving towards one another." "I've been back and forth for a while about opening up about my sexuality. I thought that I didn't need to come out because it doesn't matter if anyone knows. But I remember how much other's stories have helped me in my darkest times to have hope. I spent way too long pretending, hiding, and hating who I was. I was always afraid of what others would think/say. I've struggled with my mental health for many years because of that and it put me in a really bad place. Now I'm standing up for myself and the rest of the LGBTQ community in hopes of being an inspiration and making a difference in someone's life. Although it's a lot more accepted in our society today, we still see children, teens, and adults being ridiculed and discriminated against for being the way we are. Some have even taken their lives because of it. As long as those things are still happening, I will continue to do my best to bring more awareness to this issue and to fight for equality." 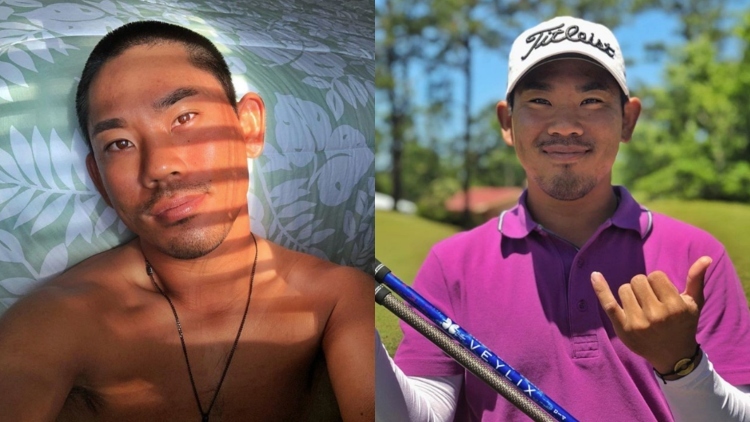 According to PinkNews, 27-year-old Fujikawa is the first professional golfer to openly come out as gay. When he was 15 years old in 2006, he was the youngest player to ever qualify for the US Open. Congrats, Tadd! And welcome to the family!